The City's goal with this tender was to procure a qualified company capable of providing reliable, year-round management of their annual biosolids program, including receipt of the material, storage, marketing and distribution of the City's LysteGro® biofertilizer product. The solution also needed to allow the City to increase its annual production of LysteGro with the primary drivers being environmental sustainability, reliability and economic viability. Through the tender process, the City sought to align with an organization with proven experience, resources and equipment as well as reliable, year-round, off-site storage capacity and the ability to maximize its production of the Class A quality, Canadian Food Inspection Agency (CFIA) registered, LysteGro product. 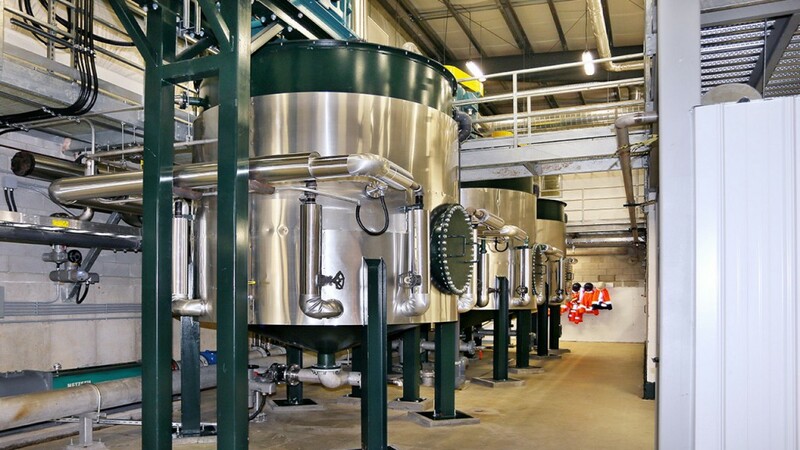 "Lystek's response to the tender demonstrated that it is positioned to fulfill all of the City's requirements, including keeping our biosolids out of landfills," says Tim Robertson, Division Manager of Wastewater Services for the City of Guelph. "The City is looking forward to working with Lystek on this project, due to their understanding of the City's operational cost requirements, its technology, ownership of a licensed Organic Material Recovery Center and its experience with Class A quality, CFIA registered biofertilizer products." "We are committed to the development and nurturing of mutually beneficial, long term business partnerships that provide real value to our customers," says Kurt Meyer, President of Lystek. Nov 1, Lystek announced the commercialization of its first, low temperature, low pressure mobile Thermal Hydrolysis Processing unit (Lystek Mobile THP) - a first in the biosolids and organics management sector in North America. This new innovation was conceived in response to growing market demand from smaller scale treatment plant operators for sustainable biosolids management solutions in support of the movement toward resource recovery. "The new, Lystek Mobile THP unit is part of our plan to continue innovating and providing the market with a range of practical solutions for biosolids and organics management," says Rick Mosher, Chief Technology Officer for Lystek. "It extends the opportunity to a wider range of wastewater treatment facilities to participate in the many benefits of Thermal Hydrolysis with a compact package based on our proven, award-winning technology." In terms of scalability, the Lystek Mobile THP unit is the company's smallest commercial system built to date. It capitalizes modular design and extends the proven advantages of Lystek' s in-plant Thermal Hydrolysis solutions by providing a compact, cost effective package that is capable of rapid implementation. It is designed to operate entirely within two vertically stacked 50' containers and requires minimal, external utilities. The unit will be made available for installation as a permanent solution in smaller scale facilities where the operating parameters and capacity of the unit can be matched to processing needs, or it will be leased for shorter terms to confirm market demand or to address challenges requiring time-sensitive solutions, while developing a long-term, full-scale plan. "Capital remains a primary constraint for many small to medium sized treatment plants who are also tasked with managing ageing infrastructure and the risk of evolving regulations surrounding biosolids management, Lystek Mobile THP offers a practical solution to respond to these changes in a cost effective manner, particularly when a full facility upgrade may be premature or not required," concludes Mr. Mosher, of Lystek "We are excited to be able to offer this option."